Read moreWould you also like to be relieved of your work? For almost a quarter century, Stuwarooij has been the logistics partner in the Netherlands with more than 600 employees. Since its start in 1989, our clients and our own people have liked to work with and for Stuwarooij, because working with us is good and nice. And because Stuwarooij relieves you of your worries. 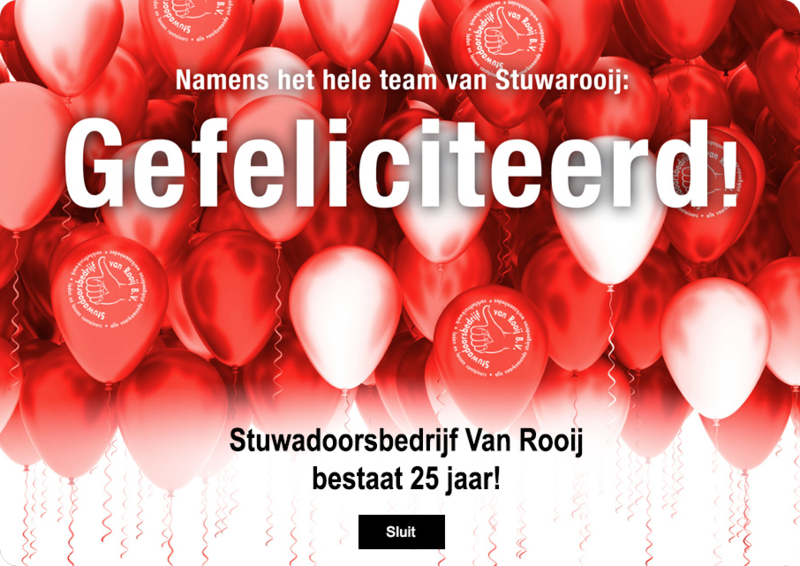 The name Stuwarooij says it all: being a stevedore is in our blood. For us, this goes beyond just supporting companies in their logistics processes. We relieve you of your and your organisation's worries. The correct approach for each container, because the cargo makes the difference. PCs, chicken manure or crates of beer. Bags, boxes or pallets. We load and unload every cargo quickly and efficiently with a feeling for the contents. As if they are our own. Whether it concerns order picking, returned goods or packaging, we offer made-to-measure service. A whole range of solutions, but always with a well-coordinated team managed by our own working foreman and our own account manager. Our forklift truck drivers are also employed on a permanent basis. Whether it concerns a forklift truck, reach truck or stacker, we guarantee motivated professionals who are always qualified for precision with sufficient expertise. We can fit in our logistics services in nearly all existing production and packaging processes. Seamlessly and quietly. Our own foremen supervise our crews and ensure that everyone works as efficiently and meticulously as possible. Containers may contain dangerous gasses. As the safety of your and our employees is key, Stuwarooij employs its own experienced gas measurement experts. They are available for high-quality gas measurement at your location on request. Stuwarooij is all-round available for any form of logistics support. We relieve the client of all the work, including management and supervision, using set crews managed by our own working foremen and account managers.